Bacteriophage, also simply known as phages, are bacterial viruses that infect and feed on bacteria to replicate themselves. Historically, researchers observed their role in limiting bacterial activity but study on phages could not make a mark on bacterial genomics. In recent years, there has been resurgence of interest in phages research across the globe for their critical role in bacterial genetics and molecular biology. Being most abundantly found entities in the biosphere, these species will keep influencing the ecology of our planet in myriad ways, and research on them will help scientists decipher the mechanism for basic chemistry of life. Over the past few years, rapid strides taken by molecular biology have shed light on the mechanism underlying their evolution, study genomic sequences of their host cells from close quarters. This has uncovered several promising therapeutic applications of bacteriophages. In the coming years, their role in biotechnology such as bioinformatics and molecular biology will be studied, which will help in the rapid expansion of the bacteriophage market. The rising significance of bacteriophages in the bacterial fermentation process has led to growing interests of their role in the manufacturing commodity chemicals, biotechnology products, and food products. The rising use of bacteriophages in the foods and beverages industry and areas of medical science is a key factor boosting the global market. In the food industries, industry efforts in unleashing the potential of bacteriophages in food biocontrol has been receiving widespread attention. The use of bacteriophages in controlling foodborne illnesses in various parts of the world caused by the consumption of contaminated food produce commodities is a promising application. For instance, the use of lytic bacteriophages has emerged as effective, natural interventions to reduce the risk of contamination of enteric pathogens on produce commodities. Thus, the demand for various bacteriophages is rising in ready-to-eat meals, fresh cut fruits and vegetable, and dairy products for their antibacterial activity. Relentless research on understanding phage microbiology will open up exciting applications of these species, such as in drug discovery and development. In the backdrop of rising prevalence of highly antibiotic-resistant bacterial strains in patient populations across the globe, antibacterial potential of lytic bacteriophages is intensively being researched. This has opened an altogether promising avenue in medical science as phage therapy to fight against drug-resistant microbes. This has inflamed interest of the medical community, especially in the U.S. Recently this year, doctors at a hospital in the U.S. used phage therapy to successfully treat a patient diagnosed of infected with multi-drug resistant bacteria. This event kindled interest among the academia and various corporates to leverage the technology of using specific bacteriophages for tailored phage therapy. A biotechnology company, Adaptive Phage Therapeutics, has teamed up with Children's National - Main Hospital to develop a large repository of bacteriophages. A large clinical trial is expected in the not-so-distant future. Such efforts will explore the clinical applications and therapeutic efficacy of bacteriophage therapy, especially in pediatrics. 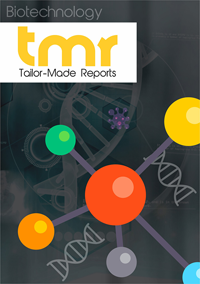 The report offers a granular assessment of various trends shaping opportunities in various regional markets for bacteriophage. The study looks at promising avenues in key regions. The rising prevalence of antibiotic-resistant infections and industry efforts to develop drug pipelines based on phage therapy will present substantial lucrative avenues in developed regions such as North America and Europe. These efforts will be fueled by the rapid advances being made in biotechnology and genomics. Meanwhile, developing economies such as in Asia Pacific are expected to be promising supported by the government initiatives to develop biotechnology infrastructures. A growing number of companies in the bacteriophage market are focused on meeting the needs of the medical communities by developing novel therapies based on genetically engineered virulent phage banks in various parts of the world. Several players are also investing in developing advanced bacteriophage platforms. Some of the prominent players in the bacteriophage market are AmpliPhi Bioscience Corporation, VersatileBio, Pherecydes Pharma, Fixed-Phage Limited, EnBiotix, Inc., and Microgen.